SEO [Search Engine Optimization] is the set of strategies which are put into action to improve the visibility of websites in search engines. On-page optimization and Off-page optimization are the two parts of SEO, and today I am here to talk about on-page optimization. On-page optimization is not a new term so you must have heard a lot about it already. If you normally say on-page SEO, people consider it as Meta tag writing and spreading keywords on the website. This is somehow true, but it is much more than this. 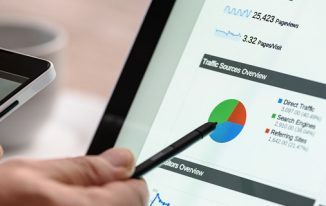 Basically on-page optimization is all of those SEO techniques that are implemented on the website, and not outside of it. Note: I am explaining the on page SEO taking blog post into consideration. 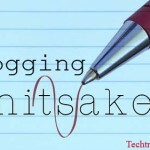 So that what you will learn, will help you optimize your blog posts or web pages. Permalink is what comes after the main domain URL. In the above screenshot, the yellow area is the permalink. For better SEO, you should have a better permalink structure. If you are using some parameter driven dynamic URL structure or very long one, then take action now, and set the best permalink structure for your blog. Also, keep relevant text to build the permalink for every article. You can include one of your keywords in it to let Google know what your content is all about. Earlier Google was displaying 60-65 character of the title tag in the search pages but after Google’s SERP redesign, they display titles on the pixel width basis so there are no exact number which you may follow while writing title tags however, there is a tool by Moz that shows the Google SERP preview of your title. So, before publishing the post, you may check your title to see the SERP view, and make shorter if it gets lengthy enough to go out of Google’s criteria. Include one of your target keyword. Always try to put the keyword at the beginning of the title. Don’t do it if it doesn’t look natural but if you think it looks natural then put the keyword at the beginning to get the maximum SEO benefit. 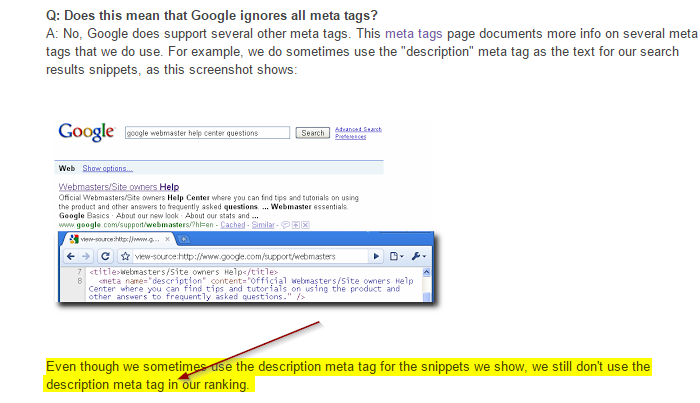 Google stopped using Meta Keywords and Meta Description as ranking factors way back in 2009. Click here to read the post in which Google announced about it. As written in the article that they use it to create result snippets for SERP, you should write a natural Meta description within the range of 156-160 character (space included). So that, your post’s search snippet would look good. Don’t just stuff keywords as you have just come to know that it doesn’t get you any ranking benefits but a beautiful snippet. So write a good one for your post. H1 tags are important, and you need to use them in an SEO friendly way. If you are not doing so, you should start doing from today. Give the page/post title H1 tag. WordPress CMS automatically adds H1 tag to the title so you don’t need to bother if you are a WordPress user, but if you are using differently coded site then remember to keep the page title between <H1></H1>. Now, within the content put the main sub-heading in <H2> and then finally put the trailing sub-domain in <H3> tag. Don’t overdo it! You might have read a lot that keeping keywords in the Heading tags has benefits, but let me tell you that don’t repeat it so many times rather put it once or twice in the whole article. Write descriptive content => When you write descriptive content you are able to use keywords and semantic keywords naturally. Google also loves content that are well written with lots of facts and information. I always make sure my all post on this blog goes more than 800 words. Sprinkle keywords naturally => Don’t stuff keywords everywhere in the article rather use it naturally that they don’t break the flow of the article. 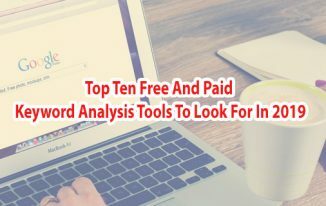 Try to include your target keyword in the very first paragraph as search bots take reference from it to understand what the content is all about. Write for readers not for bots => Though we are discussing on-page optimization, I would recommend you writing for readers, and not for search bots. When you write for readers, your blog post automatically gets better, and you get more engagement which signals Google that the page is relevant and offering good user experience. Google takes this signal into consideration as well while ranking a website. If your site’s loading speed is great, it can offer the best user experience which is one of the ranking factors in Google’s algorithm. Yes! Google gives preference to those websites which load faster. Check your Site’s page speed, and improve if it is required. You must not avoid this. As the different devices sizes are being used to access your site, it is important to optimize your site in a way that it opens perfect on all of kind of devices. One of the best solutions is to make your site responsive so that it works well on any device size and any resolution. Getting traffic from web search is fine but you should not miss image traffic as well. Techtricksworld.com gets a fair number of visits from image search because we always consider image optimization (Though few images are still not optimized on TTW) while adding images in the posts. You may read this post about image optimization to understand it better. Don’t use 123.jpg, 3.png, abc.png or any generic names rather use the relevant text for naming. As if you are naming a flower, then flower.jpg is relevant. Other than this, write Alt text for every image you use in your blog posts. 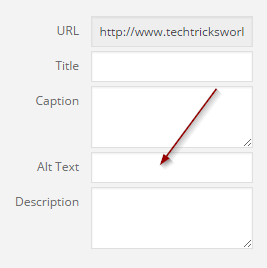 If you use WordPress, then adding Alt text is a very easy. Whenever you upload an image in the gallery, you will see options including alt text that you can see in above screenshot. Isn’t it very simple? Few other things are there as well which you may also check out such as checking broken links [Read how to use broken link checker tool], checking robots.txt file, checking crawl errors using webmaster tools, and fix the issues if you get. On-page optimization is the very first step of your SEO campaign. You must not miss it because Google is now focusing more on on-site factors than off-site factors. I am sure these tips are well enough to get started with on-site SEO. Share your views as what do you think about On-site SEO. The age of domain name is also consider one of the key factor in ranking. Google prefer old domain names over new. thanks Bilal for the valuable information. It is also required to have a good interlinking of pages among your site to get more and more pages indexed. Google webmaster tools also provide you the links which are availbale from your own pages and their count. You should also consider that you do not have multiple pages with same title and description as they are treated as duplicate title. Thanks Durgesh for the valueble information. Very useful Information you have mentioned. I apply most of these stuffs on my blog.. And one more thing delete all the not-so-useful pages from your blog so that it will help to reduce duplicate content. Yes you are right . we should delete those pages which are not useful. Definitely learned something new today. Very good article, really helpful. Hi Atish. Thanks for the great tips- does it matter if your site title is more than 70 characters long? I don’t think this can be a problem but its good to have a short title with full meaning. You are welcome. Its the basics only. I would like to add one thing that is: Navigation. One should definitely take care about how the site pages have been navigated as this surely plays a very important role. Yes You are right. thanks for this addition. navigation must be easy. Can you please tell me how to give alt tags to images? Put “< " "/>” in the start and end. Here i am writing separately because its getting visible in the comments. Seems, you know something about SEO already! Its alaways beneficial to have some knowledge about SEO if you are owner of one or more websites. Thanks for coming by Priya. Glad you liked the post. Thanks for the information, I am new to SEO. I am trying to provide good quality content. There are so many things I want to learn but don’t know where to start with. It would be really helpful if you provide me guidance. let me know what kind of help you want from me. If you read this post itself, you will get fair idea about the On page SEO at least. Well explained. Thanks for the share. Onpage Optimization is very important factor to help the website to rank high in the SERP. It is the very first step to start SEO promotion. I would like to add few points along with the above mentioned points. 2. you should also add user friendly files like robots.txt, sitemap.xml, index.txt to the website. I have mentioned about URL, where you read about permalink. I did mention about robots.txt file as well. Yes, I missed sitemap.xml (my bad), Glad you added it. Thanks for coming by. Good to know that you’ve worked on this old post to make it better. I agree with the every on-page SEO point and I’ve learned all from you. Many bloggers make mistakes in H tags like they use H1>H2>H3>H2>H4 without following a sequential way. If I find any, I notify this mistake to that blog owner. You’ve missed a word about using 2 -3 synonyms of the main keyword or LSI keywords. Otherwise, your edited post is perfect. Keep doing your great work and have a good day ahead! Thanks for coming by Nirmala. Glad you liked it. I haven’t missed the point of adding Semantic, if you read the 5th point carefully, you will get to know that I have mentioned this too. oh good! I’ve tried a lot to find anything was missing, but I can’t! You’re simply great and I’m speechless now! Though I missed one thing, that is adding a sitemap.xml. However, one of the reader and commenter mentioned it in the comments. Thanks to him! Thanks to you Atish. You are doing a great job. Yeah, I’ve missed pointing out that you haven’t mentioned Sitemap.Xml here Atish. As Bruce said, you’re doing an excellent job in crafting this kind of post for us. Very well explained Atish. Nowadays Mobile friendliness and website loading time is important to get ranked well in a search engine result page. Overall nice post. Thanks for reading my post Kalpesh. mobile friendly design is also good for search engine optimization.mobile marketing is best way to promote your business and improve your profit. Yes, having a mobile friendly design is good to get ranking in Google Mobile search. Thank you very much for sharing this valuable and informative post. Glad you liked the post Reji. Atish, again you did the awesome job here…! I heard some bloggers said that SEO is dead, but I don’t think so. The SEO is one of important job that you should considering of. You know..? If you did right way with SEO, you’ll get better performance of your online business even offline. To take of on-page optimization is basic way to get starting with SEO. I love what you mention about responsive, it’s important of new search engine change; especially Google. I found Google is focusing on quality content, thus to write longer length is great advice. SEO is not dead, and it will never be. Its just the way to do SEO has been changed! On-site SEO is now playing more important role than what Off page SEO does. Yes, conversion rate might be a measure to evaluate the site’s credibility. Very useful information Atish, It is every blogger’s wish to get their blog and post listed in first page of google and SEO plays a key role in bringing your content visible to google search. You nicely explained about page speed and optimizing the image. Thank you for coming by and reading the post Mukesh. On-page SEO is very important nowadays. This is a comprehensive guide to SEO. The importance of Search Engine Optimization should be learned and understand by people who are into blogging and marketing online. A very valuable strategy, I must say. 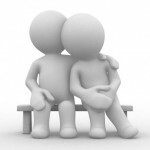 SEO is vital because the real purpose of SEO is to help people who are looking for you find you. Here in this article, you will learn how to craft your content with SEO strategy. One of the fundamentals is Keyword. Pick a keyword that will help bring people to your site and are relevant. Code optimization is also important. Well, there are so many things you need to know when it comes to SEO yet it’s worth it. Additionally, it is always helpful to get additional input especially if you are your own SEO for your own page. I am happy that you liked the content. SEO is one of the things which must not be missed by any online webmaster or blogger. Without SEO, its tough to rank better in Search engines. Outsourcing SEO doesn’t work nowadays because most of the times you don’t get desired results for the money you spent, doing it on your own is tough at first, but as you learn it gradually, you can do it. Thanks for reading my post Metz. Indeed, these are great tips for on-page SEO optimization. A lot of bloggers/Internet marketers miss out on the benefits of this process. Its easy to implement and it takes consistent application to propel a blog/website into achieving traffic generation with On-page Optimization of the search engine. Its cool to learn of the basics of On-page optimization here. Newbies as well as experts will surely take advantage of this site! Hello Sunday, Thanks for coming to my blog and reading this SEO post. SEO has always something new to give us to learn and research. That’s why I love SEO. Just founded your great blog post and it’s my first comment! Yes, on page SEO is the base of a blog or websites. If we make any wrong doing on page seo then it can hurt our SERPs ranking. By proper on page optimization we can able to get good position on the SERPs. I have written a similar article about on page optimization on my blog. Here i described the best on page seo what every blogger should follow! However, well written detailed article. Thanks for sharing an informative post with us. Would love to see your comment on my blog too! Will you Atish Ranjan? Thanks for the comment Minhaj. I will read your post and comment for sure. You did a very good job and provide very valuable stuff in this post.To get good ranking on search engines there are lots of factor responsible like social media appearance, quality content, off page optimization and also on page optimization. If we not doing good on page optimization its effect our website ranking. In your post you explain everything in very descriptive way. and all the information are very useful.Thanks for sharing. I am happy that you liked the post Laxmi. Keep supporting via your good comments. yes, these tips are really actionable in onpage seo, particularly url structure. It’s very important to get good ranking for that specific page in search engeines, Thank you for sharing.. Thank you so much for providing the basics of on-page optimization. This is really helpful because it’s simple, yet lays the foundation for the fundamentals of SEO. I’m glad you mentioned image optimization because that is a topic that is near and dear to my heart. As you know, ever since finding out that I can rank for my images I have tried my very best to always use unique and original images on every single blog posts. For me, it’s important that the image passes the TinEye.com test, so that’s a step farther to ensure optimization. I test my site speed about once per month, and I see that I have some things to adjust… as we add content and tweak our blogs on a regular basis, things crop up the didn’t use to be there. This is the case with my site right now, so thanks for the reminder. Have a great rest of the day. Talk soon. Thanks for reading and liking my post on On page SEO. yes, its simple yet the foundation of SEO. Image optimization is what often ignored by many thus a little less competition is there. Many a time, your post doesn’t rank in web search but rank well in image search if you properly optimized the images. You are doing good job by testing the loading speed regularly. Valuable tips here for starters. I must say that image optimization is what I would go for if I have some product oriented business. Having them in searches in search engines will be a delighted moment as this way I can drive more traffic. Also, having a separate image sitemap is also a good idea. What you think? Am so glad i found this post. Atlast i found someone that agree with me that on-page seo is very important. Without proper on-page seo, off-page seo won’t pay off.Thanks once again for this awesome post. Site speed is very important but should we go for a vps from starting or a shared server is ok? Does it have a negative influence if I use a shared hosting? It’s all about budget Fiana. if you can afford, VPS is much better than Shared. 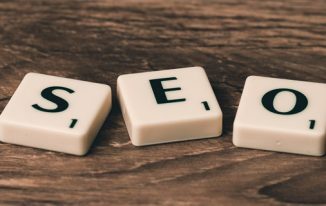 You have made SEO so easy to follow in this post. Although I’m always struggling with my headlines, I have been on point with my Title tags and meta descriptions. I have seen a huge difference since I have been doing that. I also am paying attention my my H1, 2 and so forth. Glad you mentioned images because I do find that being one of the most important factors. My images have been appearing on Google Images and I’ve been getting some nice response. These are valuable tips and you know I will share! I am so happy that you liked the write-up. Though, I am well aware of SEO I have been neglecting it because of laziness. But I have started focusing on SEO now again. Thanks for the very kind visit Donna. Good share about onpage optimization which I’ve not used internal linking but with my friends reference found usefulness of that method and found some changes in results too.We should always give some preference for site speed also rest things normal thing we do between nice share for bloggers and people are in startup. That’s a really useful post, with extra value added by the comments. It’s good to see the basic of SEO explained so well in one place. I also use the free WordPress SEO plugin by Yoast to help me improve my SEO. I’m still not consistent with my Alt Text for images, but I’m trying harder! Loading time and Mobile responsiveness don’t fall under on page seo ,they are part of off page seo. As far as I know, off page SEO includes those strategies which are done off the site that means nothing on the site, and when it comes to loading time and mobile responsiveness, we need to make changes on the site, so at least, I consider them under On page SEO. Thanks for your views Rachit. Thanks For sharing your blog really very helpful…and there is lot of information in your article…Nice work..
As many slashes you are having in your permalink, the difficulty to rank increases. Thanks for add up. I missed to include it in the article. This post is really very nice and informational.I got many new things from it.Its really very useful.I am new in SEO field and it clears my most of doubts about on page optimization. But Could you please help me out how to get permalink in blogger. I am not much aware about blogger hacks, but now they do give the option of custom permalink though you cannot remove the year/month. You can edit the later parts of the permalink. let me know if you don’t find it. Thanks for reading my post Mate. I am regular visitor of your blog. I really like this article. On page factors play key role in website success. All the factors are very important for a site success, but I think content is the most imortant on page factor. A website with good content can become even better with SEO. Content is important and the most important thing. Really great information on – On Page SEO – Atish. Very many Bloggers till today, do not make use of the built-in facility in WordPress to deliver human friendly URLs which are the SEO friendly permalinks. Often this is just due to ignorance or an aversion to all things tech, but when any Blogger takes the trouble to setup their WordPress driven Blogsite to deliver SEO friendly permalinks there is a huge value added to the blog site. Ensuring that the Title tag contains your keywords naturally is another bit of sound advice. Ensuring that the blog post – Title – (content appearing within the ) is the same as that in the tag is adds value as well. While Google has stopped looking at Keywords and Description as a ranking factor several years ago, having a well written, engaging Description is valuable. Google often using the content available in Description within its search engine results page. This information is what the seeker sees first within the SERP. It’s the reason why they may click your link in the SERP rather than another one. Hence a well written and engaging Description adds real value to any webpage or Blog post. Wow! 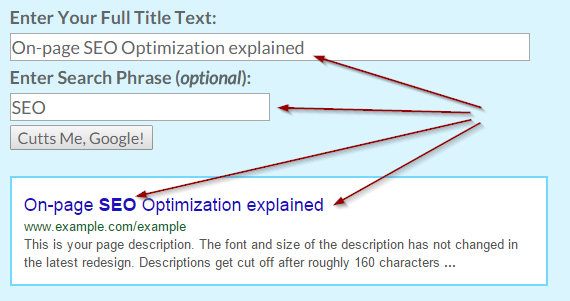 you’ve really explained content optimization for SEO well. Great job. Page load speed and Responsiveness are two really important SEO attributes that Google has been shouting about for quite some time. It would be really short sighted to ignore these page / Blog post attributes. Thanks for this really well written and detailed Blog post Atish. It was a great read. You made my day by writing the comment in so detail. Yes, the things you have mentioned and you have read in this article are very important for SEO. Thanks for reading and commenting here! Thanks for giving your valuable suggestions to us on SEO. I am doing SEO to our sites , so this article is very useful to me. you have explained clearly how to do and how to follow the rules in on-page and off-page SEO. Thanks for liking my blog post Siva. Nailing the basics is key with any SEO work. Having a stable foundation is the best thing to start with. Keep up the good work! Thanks. yes, If your base is strong you can do wonders in SEO. Well said Atish. One can do wonders in SEO. What required is to make the base strong and stay update to latest trends and tricks. What a wonderful blog post on on-page SEO. I didn’t know who you were until a little over a week ago and I am glad for blog commenting because that is how I met you. Thank you so much for reading my post and sharing your thought via comment. Sure, you can ask any question anytime! I will try to answer you with the best solution. Google page rank is dead. Google has stopped updating PR. Very Very useful tips. Meta description and image optimization are those which most of the bloggers would miss. I got this today from your blog. Thanks. This is a great article for on page optimization. It helps me lot to know how to do on page optimization. You have explained all things clearly. With this article a newbie can also learn a lot of things about ON page optimization. Keep up the good work ! That’s a great article for newbie. I have one doubt regarding using tags in articles. Do you think they add value from SEO point of view? I have read many mixed reactions on this topic and found some bloggers not at all using tags and few are using massive way. If you are talking about WordPress tags then I would say yes, if you use 2-3 then it is fine, and many times you will see the tag page ranks better than the article link. You can make use of it by putting good keywords as tags. But, if you add so many tags, it may hamper your blog because as many tag you create, a new page is added. So, for same content if you have 10 links(if you have added 10 tags), same content will be there, and that will lead to Plagiarism. Use 2 or 3 only! Great post. Thanks for sharing with us . This is a great article for on page optimization. It helps me lot to know how to do on page optimization :). Now, this is why I enjoy visiting other marketing blogs — I knew most of what you reveal here, Atish, BUT I learned some new things as well. And, you have a different perspective on things. Very comprehensive post about on-page optimization. Thank you so much for sharing your wisdom!